Three rounds in and five teams in the Asobal have 100% records. Within that group, Barcelona sit at the top with a goal difference of +34 – their narrowest victory of the year was 26:19 whereas on Friday they polished off Academia Octavio 36:20. The four teams keeping the Catalan lords company are Atletico Madrid, Reale Ademar León, Aragón, and Encantada. The latter two play each other in a couple of rounds time so if they haven’t already lost their perfect records one of them will then. Meanwhile in Germany … THW Kiel are fourth! Granted this is because they have played fewer games than anyone else but we should all take screen shots of this day to show that these things can happen occasionally. There is only one 100% record in the Bundesliga and that belongs to Rhein-Neckar Löwen who have five wins from five. Joining Kiel in the unbeaten stakes are Fuechse Berlin with whom they drew recently and SG Flensburg-Handewitt who have two wins and a draw from their three games played so far. The table should become a bit more predictable over the next few weeks as the numbers of games played begins to equalise. A quick look at France shows that the kerzillions euros spent by Paris was well spent. Remarkably after two rounds there are only three teams with two wins – Paris, Montpellier and Chambery. Montpellier own an extraordinary +36 record from their two games. The hotly anticipated first meeting this season between Montpellier and Paris comes this Sunday in Paris at 15:00 CET (14:00 UK). It is live on Canal+ but, as yet, I don’t know if there will be any legal means for watching in the UK. If you could tear yourself away from Saturday tea time TV there were a couple of live handball matches streaming today. You could have seen Atletico Madrid make it two wins from two at the start of their Asobal season and then washed that down with HSV Hamburg’s come from behind victory at Hanover. Don’t worry if you didn’t, the matches are probably archived for later viewings if such things take your fancy. 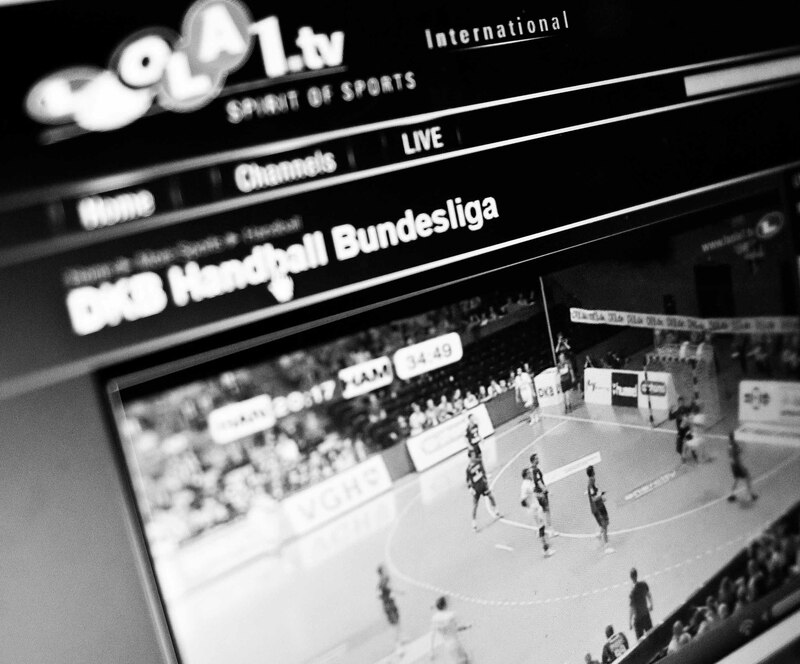 Tomorrow there are also two matches, one from the Asobal and one from the Bundesliga. At 4.30pm you can see Fuechse Berlin (it means Berlin Foxes) have a tilt at THW Kiel. Fuechse joined Kiel in the Champions League Final 4 last season but anything other than a victory for the zebras would be a surprise. Then at 7pm it’s Naturhouse la Rioja against Valladolid. Both teams lost their first match but were both top half finishers last season so it should be close. Head over to here to watch the games. If I can get myself onto a laptop that can tweet *and* stream at the same time I’ll have some live words of almost-wisdom on the Handball Views twitter feed which is @handballviewsuk. So with grim predictability Barcelona got their domestic season off to a winning start although the sparse home crowd must have been a bit bewildered to see the boys in blue and red stripes trail 5-1 after 6 minutes before the Catalans remembered that shooting on target is a useful skill and headed into a lead by half time they never looked like losing, winning the second half 13:7 for a 26:19 win. Victor Gonzalez topscored for Barcelona with 8 goals from 11 shots. Now, following their humbling at home in the Supercopa, it’s time for Atletico Madrid to open their campaign. They do so against my favouritely-named team: Naturhouse la Rioja (they seem like a fun bunch too). The match starts at 7pm UK time and is live on Bet365 (who for reference have given Naturhouse an eight goal lead in the betting). Once this match is done we’ll have finished the first round of Asobal matches with only another 29 rounds left to determine which of the big two takes the title. Barcelona start their season. Watch it live. Stick a quid in a Bet365 account (other bookies are available) and you’ll be able to watch the Catalans begin the defence of their Asobal title. Fresh from their win over Atletico Madrid in the Supercopa the club officially called FC Barcelona Intersport play Helvetia Anaitasuna tonight, starting at 5pm UK. Don’t expect a close one though: Barcelona won 32:18 and 35:23 in their matches last season last season. If the Supercopa is a way for Spain’s top two teams to announce their intentions towards each other then Barcelona put their’s forward in neon flashing lights. The Catalans opened up a 7 goal lead midway into the first half and, aside from a period that Atletico really should have capitalised on when the lead could have closed to 1 they never looked like surrendering it, eventually winning 34:31. Madrid spent a lot of time staring at the officials but it’s hard to see that they were to blame – far too many Atletico attacks ended in suprisingly ineffective shots or in overturned possession. Barcelona were the same efficient unit they always seem to be: some of the faces change but the ethic remains solid and they were worthy winners of their 15th Supercopa title. Atletico won last season’s match but Asobal went to Barcelona – although Madrid did better in Europe and won the Copa del Rey. So this one match doesn’t really count for anything but in terms of setting up the season it did an excellent job of whetting the appetite.